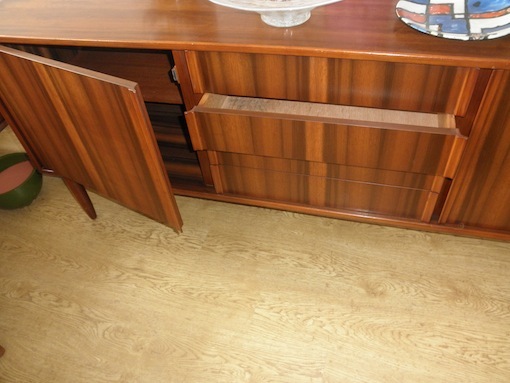 This Kolter sideboard makes a nice change from the usual teak sideboard. The American walnut wood is a rich striped brown and the hand pulls are moulded into the door and drawer sides. It dates from the 1960s.